Multicast performance Featuring: James Marsters, Charles Busch, Emily Bergl, Neil Dickson, Jill Gascoine, Christopher Neame, & Matthew Wolf. There were three main reasons I was drawn to this audio book / audio drama. The first was that the actor playing Jack/Earnest was James Marsters. I have really enjoyed Marsters delivery on audio books before and have come to love his acting. Second I have studied theater and one of my favorite plays is this one, I love the twists on words. And finally, it was a L.A. Theatre Works production. I recently listened to their production of “A Raisin in the Sun” and was impressed by how great their stage productions translated to audio book format without losing anything. L.A. Theater Works has a large catalog of plays that have been produced into audio book form and I know I’ll be going back for more, I was attracted to this because of James Marsters, but the other actors were hilarious and perfect to the roles. The casting and direction of these plays is perfect as comes out in these releases. The minor sound effects are heard and it sounds as if you are in the front row of the performance. The audience response is even heard making this even more of a sitting-in-the-audience experience. The reason I like this play is the use of language. The plays on words are fun and at times have a bit of a message for the audience. Deep down the play demonstrates that over all we must all be honest. Wilde pushes this idea through the English parlour type of a play where people aren’t who they seem to be. Jack tells his household that he is off to visit Earnest, his brother who is ill. Earnest doesn’t exist but it gives Jack the excuse to leave home and get out of social events. When Jack is off visiting Algie he goes by the name Earnest. Jack confesses his alter ego to Algie and gives Algie an idea on how he can do the same. Jack then meets Algie’s cousin Gwendolyn and falls in love, but she couldn’t love anyone other than someone named Earnest. Jack goes back home and is determined to become christened to be Earnest, but first he tells everyone his brother has died. The death of Earnest is a big surprise, because Algie goes to visit Jack under the guise of Jack’s brother Earnest. Algie falls in love with Jack’s ward, Cecily, but Cecily would only marry someone named Earnest, Algie now makes arrangements to be christened. In the big scene real names are revealed including the surprise that Jack is not who he thinks he is. All in all the mixed identities are fun but the real fun is the use of language. With this play Wilde paved the way for future comedies in this genre including Monty Python’s Flying Circus. Great way to have fun for a couple of hours, just pick up this audio book from L.A. Theatre Works. 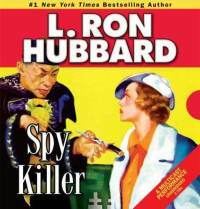 Once again I dive into a Story from the Golden Age, with another pulp fiction classic from the master Storyteller, L. Ron Hubbard. This time we go on another adventure with at tale from the Orient. Each one of these stories by Hubbard from the Mid-20th century launch me into a new adventure. 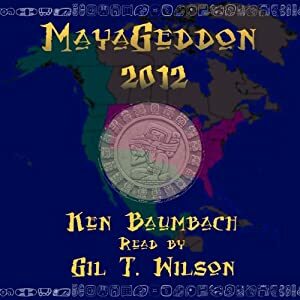 Galaxy Audio makes these stories transition to audio books in a phenomenal way. Each one of these books is transformed into an audio drama that closely resembles an old fashioned radio drama. With great music, perfect sound effects and vocal acting that not only blows away the listener but makes the over the top characters created by Hubbard come to life. Originally published in the April 1936 issue of “Five Novels Monthly,” “Spy Killer” is one of the most violent and darker stories from this era of Hubbard’s book. Kurt Reid has just escaped from the S.S. Rangoon and is on the run from those that want to charge him with murder. He flees to pre-Communist Shanghai, China and finds himself hunted by the most vile of persons, Lin Wang. Wang, a vile disgusting figure, wants Reid to kill a spy, in return he will give Wang a written confession to the murder Reid is being charged with. The confession is from another member of the crew of the Rangoon who Reid watched Wang torture the confession from. Reid finds a woman from his past, Anne Carsten, is friends with a White Russian Spy, Varinka Savischna and both are in Shanghai. Reid seeks out the spy he is ordered to kill and it turns out to be Varinka. They then both conspire to kill Wang and try to escape with their lives. In a story that is non-stop twists and turns, and secret identities as well as identity changes, Hubbard keeps you wondering what will happen next in this constant thriller. 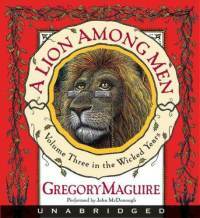 Well I just finished listening to the third installment in Gregory Maguire’s take on the Land of Oz. “Wicked” took the world by storm, and has been a hugely successful Broadway production. “Son of a Witch” told of Liir, the son of the Wicked Witch, Elphaba, who was melted by Dorothy, as he hunted for his half-sister Nor. It seems as though Maguire has closed up his version of Oz, but has left himself some room in case he wants to revisit this land. This time around we learn more about the Cowardly Lion, Brr and even more on how Elphaba became what she was. Before we get into the story, I have to say that John McDonough does a superb job narrating this book, giving voice to all the characters. I was so happy to hear that he didn’t try to give the lion the same voice Bert Lahr did. In all of Maguire’s books all the characters have a bit of a darker side to them and the Bert Lahr Cowardly Lion just would not have worked. While still able to show some of the cowardly, lacking of nerve aspect to the lion he also gave him a bit of a scholarly sound in his voice. After all when the book opens the Lion is seeking information on behalf of the Emperor of Oz. McDonough does a great job representing the voice of Yackle who has been trying to die and failing and therefore holds a bit of snarkiness in her voice. As the book opens the armies of the Emerald City and Munchkinland are marching toward each other in what will be the battle of battles. In the middle is the Mauntery, which has been the epicenter for Elphaba, Yackle, Liir, and Candle. Yackle still lives despite losing her eyesight and longing for death. At her request, the Maunts bury her in their crypt alive with only a few candles and some wine. She’s eventually forgotten, but not by all. The Lion arrives wanting to question her regarding Elphaba, and eventually we find out also the Grimoire, in which the power of all powers could be attained. One of the sisters at the Mauntery is explaining that Yackle is dead just as Yackle comes walking into the room. The sister faints at the sight of the dead Yackle, who is now blind and very very old. Yackle and Brr begin a bit of bartering to tell stories so Brr can gather the information he’s seeking. In this we learn more of Brr’s beginnings, how he was abandoned and alone in the forest and taught himself to talk while listening in on humans (he had the ability but no one to teach him). In his early years he comes across one of the Wizard’s soldiers caught in a trap that was meant for an Animal like himself. He is too cowardly or maybe just excited about making his first friend and cannot find himself leaving the soldier alone. Brr stays with the man until he dies and sets out with the soldier’s medal of courage and some books to tell his family. By the end of the book the Clockwork Dragon Oracle makes its return and reveals all to the players involved just before the war comes to them. 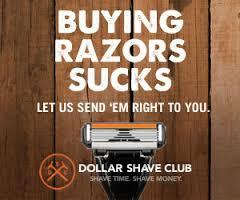 Allowing each to make a decision about their pasts and futures. Maguire could end his Oz saga here, but he did leave the door open for further exploration. This book really allows you to emphathize with all the characters, even the ones who seem bad/evil and is a great addition to Maguire’s stories. Back when I first started listening to these audio book productions of tales from the days of Pulp Fiction, or Stories from the Golden Age, I was only interested in the Science Fiction and Fantasy tales, but soon I was curious to hear some of the other genres because of the high quality of performance and production put into these books. Galaxy Audio produces each story from the days of pulp fiction magazine into phenomenal performances that will remind you of the early days of radio. The characters created by Hubbard are already well rounded and over the top and the voice actors bring each character to life, each one sounding like a character from the mid-20th century, just like the high drama and suspense stories that were on the radio at the time. The vocalizations, the sound effects and the original music all come together to bring you a true theater of the mind performance. Once I had listened to all the sci-fi and fantasy stories I started then listening to the back issues of these audio pulps, and no matter what genre I heard, I was entertained and enjoyed the great story. Hubbard wrote many stories during the time of the pulp magazines and in many genres. This time around we dive into a sea adventure, but even more exciting (I was especially looking forward to listening to this one) a pirate adventure. Originally published in “Five Novels Monthly” August, 1935, “Under the Black Ensign” could be called the perfect swashbuckler romance. Set in the Caribbean of the 17th century this story blends piracy, British men-of-war, a girl of aristocratic birth disguised as a boy, and an officer unjustly stripped of rank. Tom Bristol’s career as first mate of the Maryland bark Randolph abruptly ends during shore leave when he is press-ganged into serving aboard the British HMS Terror. Back in the day the crews of naval vessels were the underlings and treated as such. One day onboard the Terror Bristol drops his marlin spike while working aloft and it nearly falls on a Lord who is on his way to take over a fort and prison in the Caribbean. The Lord, being the hoity toity well-to-do royalty type, thinks Bristol was attempting to assassinate him orders Bristol to be given 100 lashes (a punishment that would bring death. Just as Bristol is about to receive his lashes, the vessel is overtaken by pirates and after the melee Bristol is seen to be tied to the mast and given the opportunity to join the pirates. Bristol is one of the valuable few that understand navigation on the high seas. When Bristol is confronted by another pirate that wants to commit mutiny he kills the mutinous scalawag. His new pirate mates desert him quickly after he’s found guilty of killing a mutinous pirate and unwittingly harboring a woman on board. The woman was actually Lady Catherine who escaped the Spanish by disguising herself as a boy. Bristol is then marooned on a deserted island, with nothing but a small supply of water, a gun and just enough bullets to kill himself. The woman is put off toward more civilized confines but she steers her boat toward the island where Bristol is alone and they set up camp to decide what to do. As fate would have it Bristol watches a Spanish ship battle a Dutch slave ship and abandon the Dutch ship and its cargo. Bristol and the lady row out to the ship and free the slaves, who are sailing men themselves. Bristol now has a crew and they manage to seize a ship through trickery and he sets out for revenge against the pirates and the British on his own vessel sailing under the black ensign. Great swashbuckling, pirates, battles, and dames what more could you ask for. This story beats any Pirates of the Caribbean story you’ll find. As the kids say, “OMG,” I am still giggling thinking about this book and I finished it 2 days ago. 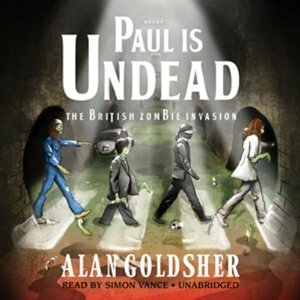 “Paul is Undead” has got to be one of the funniest books I’ve read in a long time. This book is written in the format of the many biographies of rock stars in that it is a series of interviews that tell the story. This time though the story is not the story we all know as the rise of The Beatles to the “Toppermost of the Poppermost,” a phrase used by John Lennon throughout the book and the definition is not fully understood until the very end. 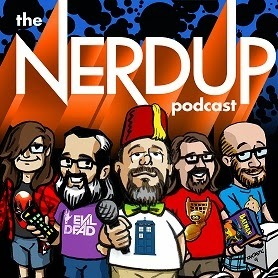 In the tradition of all the horror mashups that have been released recently, (e. g. “Pride and Prejudice and Zombies,” and “Sense and Sensibility and Seamonsters,” and “Abraham Lincoln: Vampire Hunter”) Alan Goldsher gives it a go, mashing up the supernatural and the Beatles. The entire history of The Beatles is retold with The Beatles now being Zombies and wanting to take over the world. Okay, really only 3 of the Beatles are zombies, Ringo is a 7th level Ninja, of course. When you rush out to get this book, I would HIGHLY recommend getting the audiobook version. Simon Vance does a superb job of not just reading the book but performing it as well. Vance does his best impression of all celebrities mentioned in the book including the Fab 4, but with more, he does the voice of the Chicago reporter who is writing the book, Mick Jagger, Ed Sullivan, Elvis, Rod Argent, Yoko Ono, Bob Dylan, Roy Orbison, Satan and more. At times I felt as though I were listening to an audio biography produced by Ken Burns (but without the long drawn out scenes.) Vance had me laughing out loud with my headphones on with his presentation of this already hilarious book. The book opens with Howard Cosell breaking in and announcing the attempted beheading of John Lennon by Mark David Chapman. Lennon’s head is reattached and Chapman is arrested. From there we go back to the birth of John Lennon when as he came out of the womb he was zombified via the “Liverpool Process.” The “Liverpool Process” of creating zombies is different from many other zombie creations known around the world. The “Liverpool Process” produces a super human zombie that can think, has supernatural powers, great speed, can hypnotize anyone, and can tear off and reattach any limb and more. Oh they still hunger for the gray matter but they can also eat , drink and experiment with drugs, the brain eating is saved for special occasions. John then recruits/turns Paul and the duo are unstoppable, George Harrison is turned by Paul because John thinks he is too young. Stu Sutcliffe doesn’t get turned to a zombie instead after quitting the Beatles he becomes a vampire. After the three play a few gigs they realize they need to replace Pete Best because they need a drummer who can protect the band. Enter Ringo Starr, a 7th level ninja, who can turn himself invisible (great subtle joke there). Sure they have their problems, after all the world doesn’t quite know what to do with zombies, but they make great music. Even worse, world renowned zombie hunter, Mick Jagger, is always trying to destroy them. Rod Argent is accused of riding the Beatles’ coattails by naming his band The Zombies, even though they aren’t undead. Roy Orbison is a deity of unknown proportion who doesn’t allow Paul to steal his glasses. Smoking marijuana creates zombie flatulence which creates a purple haze of a more potent material that takes Bob Dylan by surprise. The Mahareshi Yogi gets dismembered, and finally Yoko Ono a 9th level ninja, has it out for Ringo. All the stories are there, from their first Ed Sullivan appearance, the Shea Stadium troubles, and the band playing a concert on the rooftop of Abbey Road Studios, but with the hilarious zombie twist. For any Beatles fan this book is a must, it will have you laughing throughout. Lots of gory laughs to be had.